Purchases account for 15 % to 50 % of turnover of your organisation; they are a genuine source or savings that remains too often untapped, especially as indirect procurement is concerned. IT & telecommunication : telecommunication budget accounts, on average, for €800 to €1,000 per year and per employee. Business trips & travels : in France, business trips related expenditures account for almost €30 billion. Supplies : each employee consumes up to 85 kg paper per year! But also, Human Resources, Facility management, Utilities, Marketing & Communication, Transport & Logistics, Intellectual Services, etc. Savings can be made mainly by purchase rationalisation on an internal level, by supplier sourcing, and action prioritisation on purchase categories with a significant impact on turnover. Identified potential savings are many and, mostly, prompt a genuine leverage effect on the margin. KIMOCE allows the efficiency follow-up of your purchasing strategies within your organisation. Measure and analyse your results: analyse your suppliers, purchase expenditures, and the cost of your purchase process to build and adapt nimbly your purchasing strategy. Steer day to day: follow your key indicators daily through an interactive dashboard and handle the major events directly. Launch invitations to tender: put your supplier in a competitive situation and rationalise your supplier portfolio and the number of listed articles. Manage your purchases by category: identify the most important purchase categories, set cost reduction objectives and monitor the expenditures by purchase category. 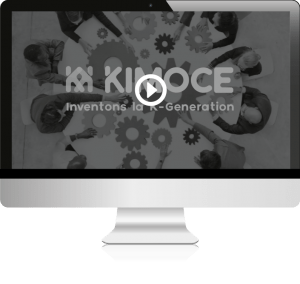 It will take less than 5 minutes to view how KIMOCE provides a day-to-day support to take up your 3 key challenges.